One is a Ferrari F430 with a V8 engine, the other an 800cc, 2-stroke snowmobile. 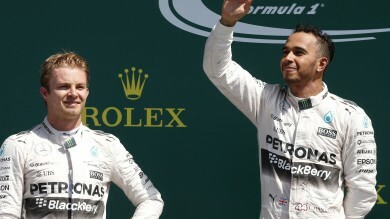 If they were to race, which would you put your money on? 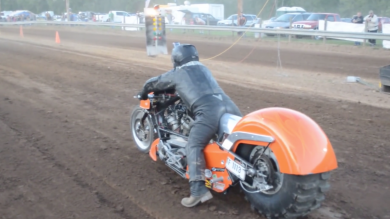 But before you place your bets, check out this footage from this year’s Modball Rally at the Varano de Melegari racetrack in Italy. 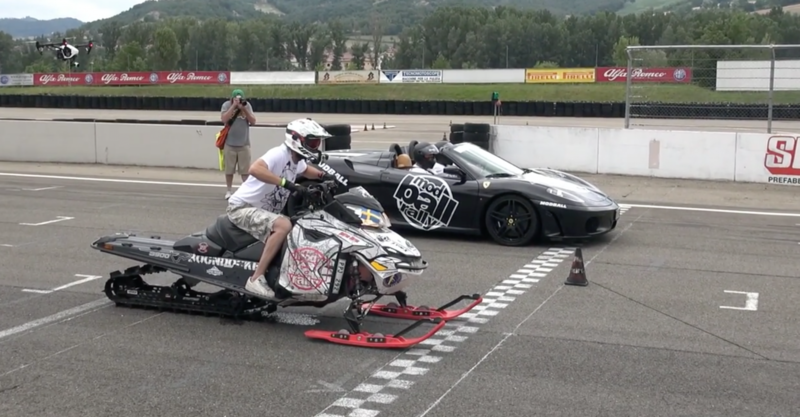 The heavily boosted snowmobile almost immediately outpaces the F430, before proceeding to draw with it’s successor, the Ferrari 458.